At Nissan South Union City, we treat the automotive needs and wants of our customers with the highest priority! We have a dedicated and friendly sales staff offering no pressure sales on Nissan Altima, Frontier, Pathfinder, Juke, Murano and more! We want to help you ride away in the car, truck or SUV of your dreams with no questions left unanswered. We take pride in building long-lasting relationships, as we firmly believe customer service is just as important as the cars we sell. Sure, the selection of Nissan models we have in stock is second to none, but what keeps our guests coming back again and again is the way they’re treated. If you are in the Union City Fairburn, Jonesboro, Fayetteville areas, come see us! We are conveniently located at 4080 Jonesboro Rd, Union City, GA 30291. Need directions? No problem! Find us here. Just like our fantastic sales team, our service department offers timely, professional service to all our customers. 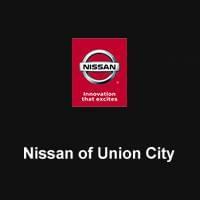 We appreciate you choosing Nissan South Union City and strive to continue offering exceptional automotive service to meet all your needs! Please do not hesitate to contact us in the Atlanta area.